When you're not shooting up the place or remembering where you parked the horse there's always the Red Dead Redemption 2 Herbalist Challenges. These 10 tasks will test your more floral skills and, if you complete them all, give you some decent loot. They're not hugely challenging, mainly involving picking things, eating stuff, crafting and even feeding your horse. However, you have to focus on one Red Dead Redemption 2 at a time which is more a faff than anything else. Our Red Dead Redemption 2 Herbalist Challenges guide will make short work of it all, so saddle up and get picking. Yarrow is a common herb that can be found in temperate climates across Red Dead Redemption 2’s map, and Arthur will need to find and pick six of these flowers to complete the challenge. They look like tall, red roses at first glance, and will glow and sparkle when activating your Eagle Eye ability. Berries, like Yarrow, can be harvested from the wilderness of the American Frontier simply by locating and interacting with them in the world. Again, use your Eagle Eye ability to spot different plant types across the terrain while exploring, and if you’re struggling to find four different types of berry, trying travelling to a new area, where the fauna is likely to diversify. You can craft a multitude of items using sage as an ingredient in the crafting menu at your camp fire, from seasoned meat to all manner of potions and lotions. Sage itself can be harvested from forests in the open world, and looks like a tall, leafy green bush that shines when you activate your Eagle Eye. Mushrooms come in several varieties in Red Dead Redemption 2, and all of them can be fed to your horse for stat-boosting benefits. You'll have to pick and inspect each mushroom first, but to feed them to your pony, simply select it from the horse wheel in your quick menu while mounted, and release L1/Left Trigger to offer them up. Indian Tobacco is a very common herb found all across Red Dead Redemption 2's map, mainly used for crafting potions that can restore or fortify your Dead Eye. It is a tall, green plant type that will shine and stand out when your Eagle Eye is activated, so pick as much as you can carry and get crafting using the menu at a camp fire. This challenge is simply a case of investigating, discovering, examining, and picking every new herb type you spot in Red Dead Redemption 2. That said, the more you travel around the map, the greater the variety of herb, so don't expect to find as many as 15 all at once. Special Miracle Tonics are healing potions that can be crafted from a variety of herbs in the camp fire crafting menu, so you'll need to stock up on plants like Sage, Yarrow, and Lavender to be able to make at least 5 of them. To use each one, bring up your item wheel from the quick menu, select the tonic, and release the left trigger. Oleander is a herb used for making poison weapons, and can be found growing mainly in the bayou of Lemoyne, to the South East. To craft poison weapons, go to the correct tab in the crafting menu at a campfire, and make 6 different types to fulfil this criteria. This one's going to take some time. 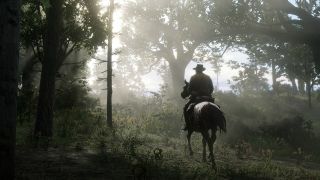 You'll need to have explored and discovered the entirety of Red Dead Redemption 2's map to find every herb species, and from there it's a case of tracking down and examining each one, using your Eagle Eye to spot them out across the plains of American Frontier. Diffferent animals produce different types of meat, from the venison of a deer to the stringy meat of a rattlesnake. You'll be tasked with hunting down and cooking all 11 types at the campfire, seasoning them with herbs like Sage or Thyme for some extra benefits. Do this, and you'll have completed the entire set of Herbalist Challenges. Congrats!